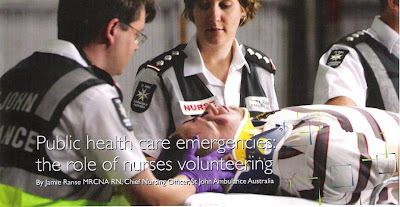 This paper provides discussion regarding the response of nurses to public health care emergencies and disasters in Australia. Ranse J. Public health care emergencies: the role of nurses volunteering. Connections [Royal College of Nursing, Australia – newsletter publication]. 2008;11(2):15-16.